We couldn't get luckier with Pune's proximity to forts, nature trails, sanctuaries and hill stations. From Matheran to Amboli, the list of hill stations you could visit is long. But here are five you definitely should check out. So fill up on fuel and drive to these hill stations that offer cosy stays, gorgeous views and great weather. This little hill retreat, 162km from the city, is the best option to travel on a long weekend. See the western ghats in all its beauty, stunning waterfalls, serene mountains and picturesque views aplenty. If trekking is your stress buster and rugged terrains give you an adrenaline rush, then this quaint hill town in Ahmednagar is worth exploring. You must check out the jungle camping here and visit Mount Kalsubai too. Matheran, the smallest hill paradise in India, is full of scenic views which will lift up your spirits. Its lush greenery, rocky patches and eye pleasing surroundings with breath taking view adds to the ceaseless charm. It is located 120km from the city. Trek to the Chanderi caves, and spot old Parsi and British-era bungalows where the rich once lived. Some are also available as homestays. There are plenty of trekking trails here to explore. Matheran is also the only automobile free station in all of Asia, so find a horse to ride if you're tired of walking. 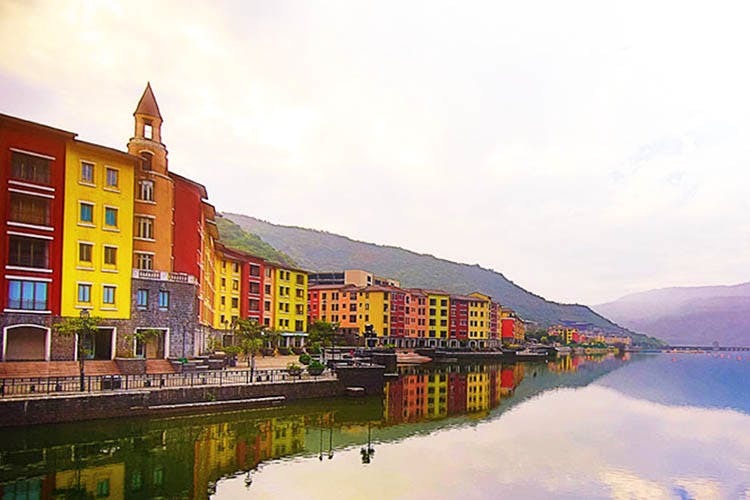 The only private planned city in India, Lavasa looks like a quaint European town with its colourful townships along the lake. Only 65km from Pune and spread across 25000 acres of land and green pastures, Lavasa is where the rich go to holiday but you can also roam the town or look down at it from a viewing point just outside the city. Make sure you try trekking, hiking, mountain climbing, and water sports like jet-skis, luxury cruise boats, bumper boats and more. If you are fond of fresh strawberries, cheese, jam and juices, then Panchgani is a must-visit. It has retained its colonial-era charm and has tall mountains surrounding the landscape. It's in the midst of wilderness and is only a 100kms away. And, has a number of economical homestays for travellers looking to stay for a while. The Mapro Garden is a must-visit here. Located 68kms from Pune, Khandala is one of the most visited hill stations around Pune. Tranquil and alluring in its own way, this hilly abode is situated between the Deccan Plateau and the Konkan Plains. There are a number of tourists spots which you must check out.